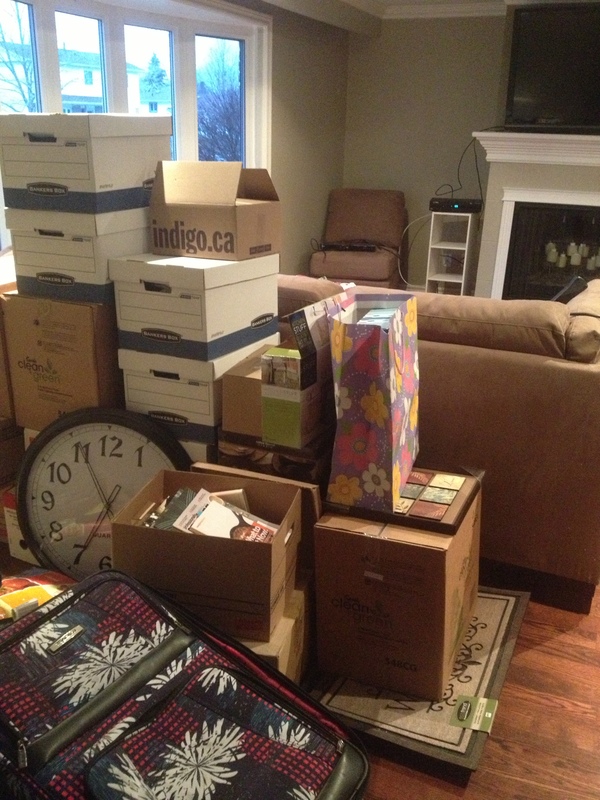 Last night I did it – I moved to Ajax. Simba and I were grateful to my friend Kim who brought over a single mattress for us to sleep on because otherwise I would have slept on the couch and I am not a fan of couch surfing. I like to nap on the couch as often as possible, but sleeping for a full 8 hours is not ideal. The two of us tip-toed around the house all evening, getting used to our space, putting some things away (not a lot I won’t lie) while watching my PVR’d Big Brother Canada and waiting for Kim’s arrival. It was so great because she lives four minutes from my house so she was able to stay and chat for a while and this is what I miss. I miss having someone to talk to – verbally, not by text message. Actual conversation and Kim gave me what I have so craved for months now. I am so over text messaging to stay in touch with people, I want to speak to someone and sit with them for a while. Soon I will be able to offer people a glass of wine or pop or coffee when they come by! When she left, I gathered some bathroom supplies to put away and hung up my shower curtain. I am convinced the people who lived here prior were giants. I didn’t clue in before but everything is high. The bar – high, the doorhandles – high, the shower curtain – I had to stand on the top to even come close to being able to reach it!!! I am 5’2 so I am used to struggling, but this was ridiculous! I was looking forward to a hot shower and a hot shower I got! I could not get the water to cool down for the life of me. I turned all three of the knobs on the wall in the shower and none of them cooled it down. I was a nice pink colour from the water burning my skin, but at least I felt clean and satisfied enough to lie down and sleep. Simba was not having it. We lied down on the mattress and every creek, car passing by and outside noise he heard he growled. A low grrrrrrrr escaping his throat and no matter how many shoves I gave him he kept at it until I finally passed out way past 11:00. I only woke once, unable to contain my excitement of being in the new home, unable to fall back asleep right away, but finally I did, to awaken shortly after by the alarm clock. This morning as I prepared for work I smiled to myself knowing that soon everything would be unpacked and put away and that I would be able to take my time getting ready in my house. My. House. I really like those words.